But, when you really think about it, marketing is always changing and experts often don’t have visibility into your unique context. This naturally begs the questions — what should you do when you can’t find a solution to one of your problems on the internet? To find the answers to your unique problem, consider channeling your inner Sherlock Holmes and become an investigator. Investigators forage for information that’ll lead them to the answers of their own specific questions. And, as a marketer, one of the best investigative tools at your disposal is A/B testing. Every company has a different set of customers, so there’s no one-size-fits-all formula for designing the most optimal website, crafting the most compelling copy, or building the most effective product. To figure out which website design, line of copy, or product feature will produce the best results for your company, you must discover what your unique set of customers prefer. To help you do this, we’ve curated seven of the best A/B testing tools for 2019 that’ll help you optimize your website design, copy, product, and, most importantly, help you find the answers to your own specific situation. Trusted by over 4,500 enterprise brands including eBay, Target, and Virgin Holidays, VWO is an A/B testing and conversion rate optimization platform tailored specifically for enterprise brands. In their suite, you can build A/B tests, Split URL tests, and multivariate tests with a drop-and-drop editor. 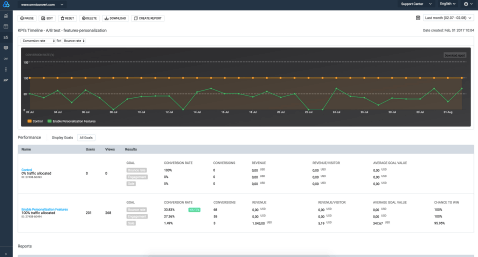 To gauge the performance of your tests, VWO offers a robust reporting dashboard. VWO also offers a SmartStats feature that leverages Bayesian statistics to help you run faster tests, give you more control of your tests, and reach more accurate conclusions. With 24 Fortune 100 companies as customers, Optimizely is a digital experimentation platform for enterprise marketing, product, and engineering teams. 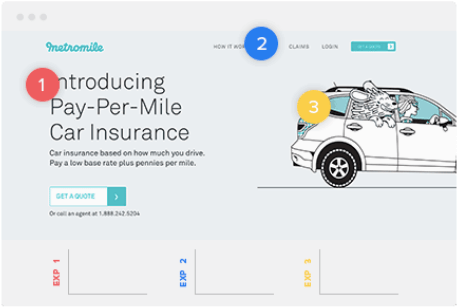 Using their powerful A/B and multi-page experimentation tool, you can run multiple experiments on one page at the same time, allowing you to test various variables of your web design. Optimizely also offers testing on dynamic websites, various experiment dimensions like ad campaign, geography, and cookies, and various experiment segmentation parameters like device, browser, and campaign. Omniconvert is a conversion rate optimization platform that offers an A/B testing tool, as well as survey, personalization, overlay, and segmentation tools. Using their A/B testing tool, you can run A/B tests on desktop, mobile, and tablet. Additionally, you can turn winning versions of an A/B test into the control for a future test and leverage Frequentist or Bayesian statistics to validate your tests. Omniconvert also blends their segmentation tool with their A/B testing tool to let you test over 40 segmentation parameters, like geolocation, traffic source, and visitor behavior, to improve your website’s user experience, product features, and content’s ability to engage and convert. If you work for a medium-sized business, Omniconvert could be a great A/B testing solution. Crazy Egg is a website optimization software that offers A/B testing, heat mapping, and usability testing tools. Their A/B testing tool lets you test variations of every single page on your website by adding one snippet of code to the pages you want to experiment on. 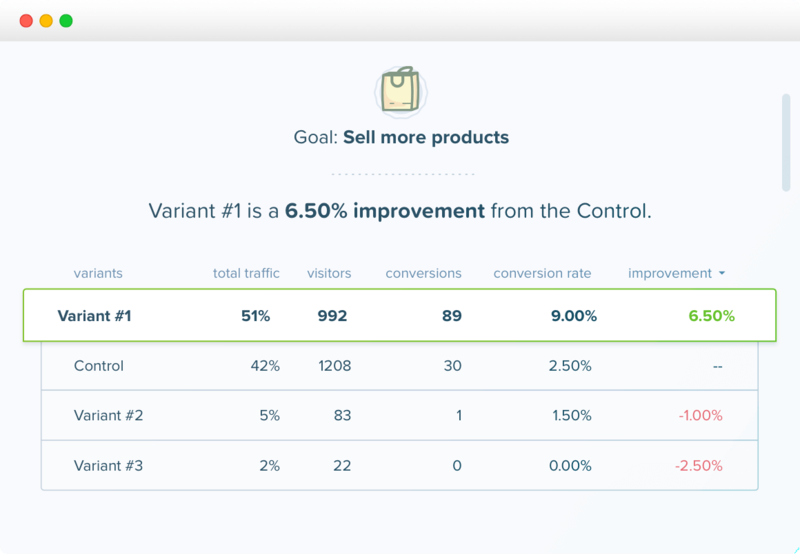 Crazy Egg also lets you build A/B tests without any coding experience, sends more traffic to the optimal variant of your test once it recognizes it’s the winner, and offers intuitive conversion tracking and reporting tools. If you work for a small business, Crazy Egg is definitely a tool you should consider. 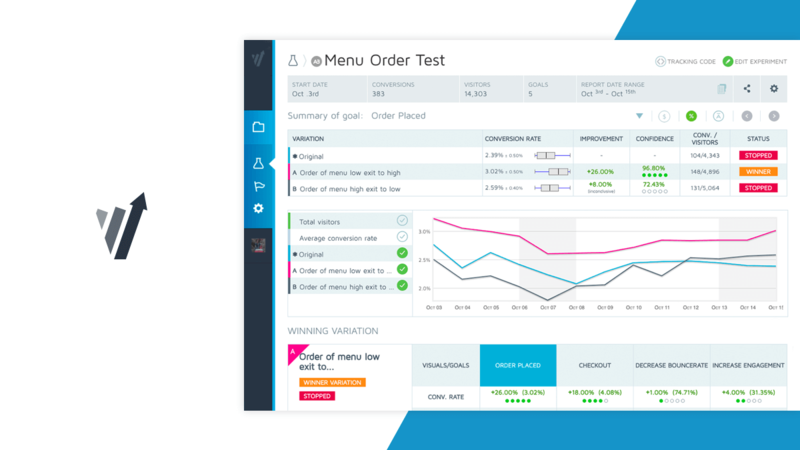 Trusted by brands like Sephora, Ugg, and Carrefour, AB Tasty is a conversion rate optimization software that offers A/B and multivariate testing, data insights, marketing, and personalization tools. 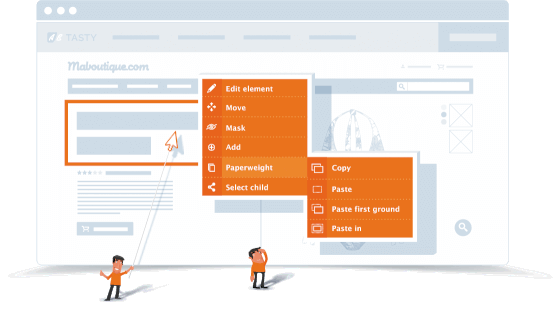 Using their experiments tool, you can build and run A/B tests, split tests, multivariate tests, and funnel tests with their visual editor. You can also leverage their advanced targeting to test based off various criteria like URL, geolocation, weather, and more. To help validate your tests, AB tasty offers reports that display your tests and their confidence levels in real time. If you work for a medium-sized business, AB Tasty could be best suited for you. 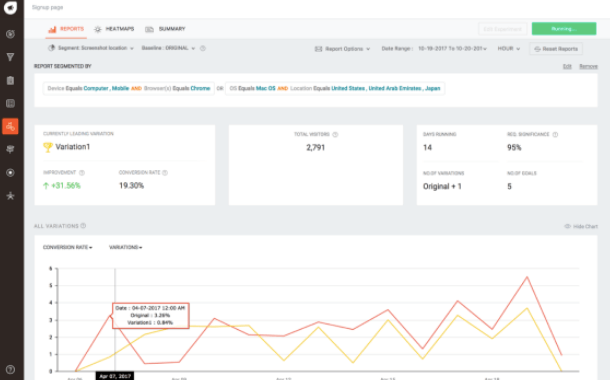 Freshmarketer, which is the marketing arm of the business platform Freshworks, is a conversion rate optimization software that offers A/B testing and split URL testing. 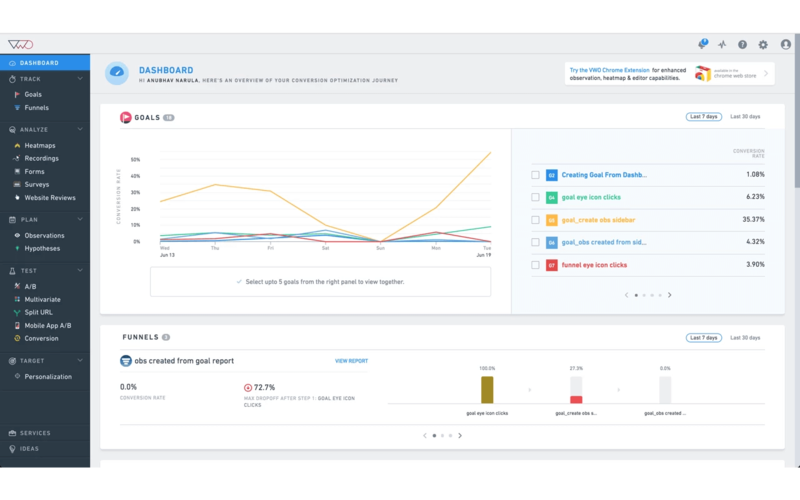 Their A/B testing tool can test, target, and validate your experiment, integrate with Google Analytics, and even track the amount of revenue your experiments have generated. Freshmarketer’s Split URL testing tool can help you test multiple variations of URLs, turn winning test variations into real web pages, and grasp the effectiveness of your web design by offering heatmaps of every variation of your split URL test. Freshmarketer could be the A/B testing solution for you if you work for a small business. Additionally, Convert can gauge the performance of all your tests by reporting on a large mix of metrics, from your variations’ click-through-rate to its return-on-investment. If you want to use Convert in conjunction with your other tools, they offer a ton of integrations with third-party tools, like WordPress, Shopify, and HubSpot. Convert is best suited for small businesses.